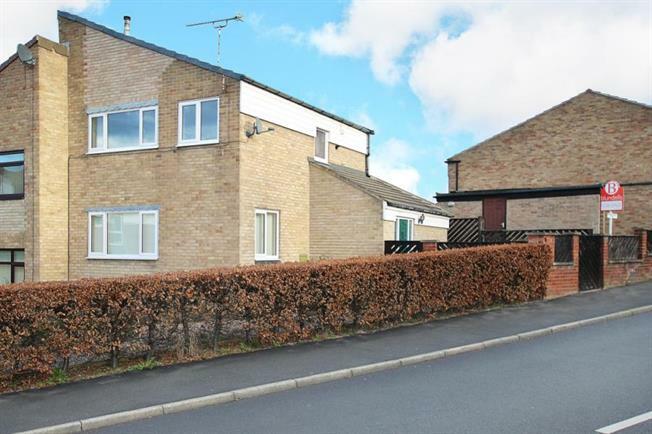 3 Bedroom Semi Detached House For Sale in Sheffield for Guide Price £165,000. Offering no upward chain and having been extended to the side and rear is this three bedroom semi detached property with driveway and garage. The accommodation comprises entrance hallway with utility area and downstairs shower room w.c, extended kitchen, dining room, lounge, three bedrooms and bathroom. Outside the property offers a corner position and benefits from gardens to three sides with parking for a few vehicles with garage. The house offers gas central heating, double glazing and alarm system. Located close to local schools and bus services and is within a short walk to Chapeltown centre. Viewing is recommended via Blundells estate agents.